The flavor is great, not hot but it is with a lot of flavor. I am kind of lazy so I put a piece of foil on the baking sheet to catch the extra oil and chicken fat for easy cleaning. Take the chicken wing section and coat it with the egg that is scrambled in a shallow bowl. Put the wing parts in the plastic bag with the the dry ingredients cover well and remove. Place into a hot cast iron frying pan. Yes it need to be hot before you start. With cooking oil in the heated pan start frying the chicken. Fry for 10 minutes, flipping the individual pieces frequently to keep them from burning. Place them on a rack that is on top of a cooking sheet. Place in the oven at 400 deg's for 15 minutes to make sure thta the chicken is done. Remove from oven and plate up! 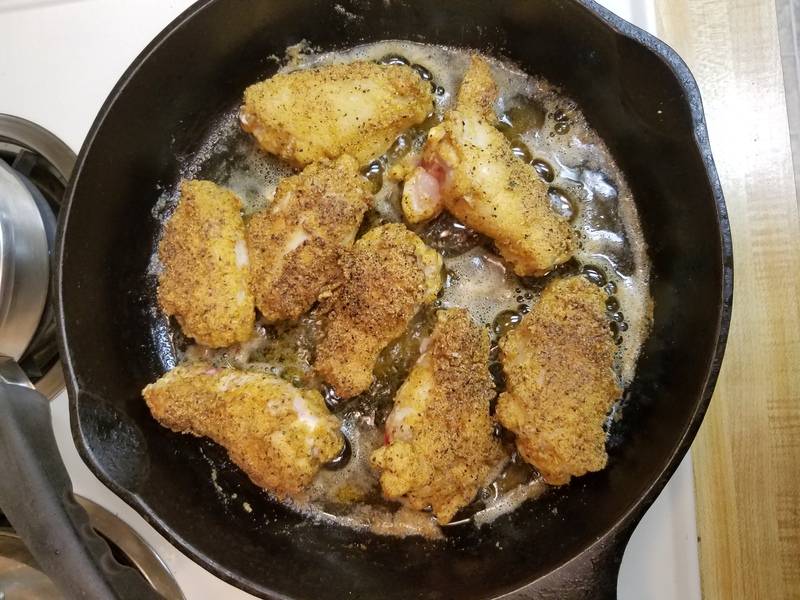 There are million of ways to cook chicken wings, so I thought I would toss in another to your list of favorites. The kicker to this way to wing heaven is McCormick’s Chipotle Peper Marinade and a few other add on’s. Nice and easy, serve it with a salad and your done!